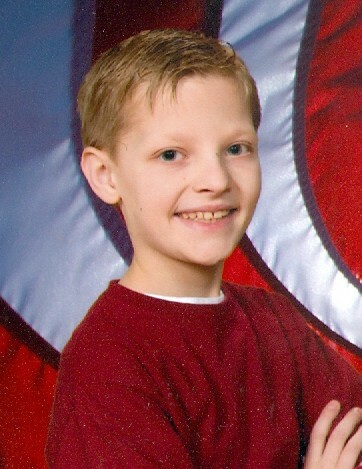 Bryan Timothy Doll, Jr., 14, of Hanover, PA, entered God’s Eternal Care, Saturday, February 3, 2018 at home. 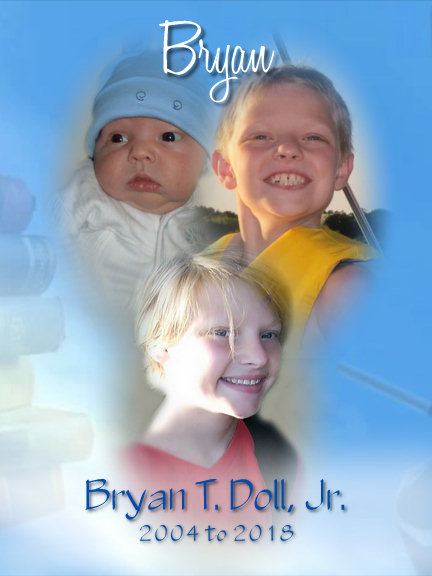 Born January 5, 2004, in Hanover, PA, Bryan was the loving son of Bryan T. Doll, Sr., of Hanover, PA and Jessica M. (Fortino) Doll of Hanover, PA.
Bryan was a member of St. Matthew Lutheran Church, Hanover, PA.
Bryan was an 8th grade student at Emory H. Markle Intermediate School. He enjoyed playing the violin and percussion, including drums and keyboard. He played football with the Baresville Bears in 4th-6th grade, was a voracious reader, loved playing with his Rubik’s cube and Yo-yo, and enjoyed playing computer games with his siblings. In addition to his loving parents, Bryan is survived by his brother, Matthew R. Doll, and sister, Hallie E. Doll; paternal grandmother, Colleen (Roth) Doll Dubs; and maternal grandparents, Michael and Claire (Duguay) Fortino, and many aunts, uncles, and cousins. A funeral service to celebrate and remember Bryan will be held 11:00AM, Wednesday, February 7, 2018 at St. Matthew Lutheran Church, 30 West Chestnut Street, Hanover, PA, with the Rev. Dr. Daniel M. Yeiser officiating. Visitations and times to share memories with the family will be held from 6:00-8:00PM, Tuesday, February 6, 2018 at the Kenworthy Funeral Home, Inc., 269 Frederick Street, Hanover, PA and from 10:00-11:00AM, Wednesday, February 7, 2018 at the church. Burial will be in Rest Haven Cemetery, Hanover, PA.
Memorial contributions in memory of Bryan may be made to Olivia’s House, 101 Baltimore St, Hanover, PA 17331. The Kenworthy Funeral Home, Inc., 269 Frederick Street, Hanover, PA has been entrusted by the family with the funeral arrangements.